Few TV shows offer as fascinating an insight into the human mind as Hoarders, the series that looks into the lives of people with an extreme love of collecting, and an extreme disregard of cleaning. As newspapers, food containers or dirty clothes pile up around them, the hoarder will sit there, a smile on their dial, murmuring ‘this is normal’ to themselves on repeat. Collecting is a joy. In a way we humans are hard-wired to do it, a remnant of our hunter-gatherer past. Cleaning, on the other hand, is a chore that few look forward to. But doing too much of the former and too little of the latter is a recipe for disaster; before you know it you’re being presented as a packrat on national TV. How does this relate to recruiting? Imagine a house that represents your applicant tracking system (ATS). Imagine the newspapers, food containers and dirty clothes as the data that fills it up. How much is truly useful? How much is simply taking up space in the hallway? Are you a data hoarder? If we’re honest, ATS customers are experiencing a data hoarding epidemic, filled to the brim with old records and with no good way to clean them out. So what can a firm do to avoid being featured on Hoarders: Recruiting Edition? In an ideal world this data integrity would be the sole responsibility of this team member, but the reality is that only large firms could afford to employ such a professional. That being the case, it’s important that the data administrator is given a set amount of time every week to perform these duties, and ensure that your ATS continues to perform at its peak. Identify incomplete records: This is where automation can take a bit piece of the pie off of your plate. First, you could use an automated tool to identify contacts with no email, no phone number or incorrectly formatted email or phone. This gives you a short list to look through to determine a) are these people worth keeping or b) are these people junk that we uploaded. This is the first step in cleaning out the dirty corners of your ATS. Merge dupes: A good next step is to identify the likely duplicates in your ATS. People’s jobs, email addresses or last names can change and if you haven’t been proactively engaging for a bit, it can be hard to update a record, leading to potential duplicates. Most modern ATS’ will dedupe on new import or parse, so you should be good to go. But, if you find you’re flush with dupes, a 3rd party tool like DiscoverOrg could help tidy things up (they can also help with step 1 above). Start from scratch: Maybe you’ve hit the point where none of your data is usable (hopefully not). In that case you could start from scratch; exporting your darlings and obliterating the rest. At least you’d have a clean platform to build upon the right way and start pulling in clean data to even cleaner results. Spring cleaning done, the next step for our data administrator is to lay out data entry and maintenance best practices, designed to keep the data as relevant and useful as possible. You’ll need to make the minimum data requirements for new ATS entries clear, and you’ll need to lay out a maintenance schedule to protect the integrity of the system. Team members must be trained on these best practices. They must understand the importance of them; that they aren’t just rules for the sake of rules. The best way to do this is to show them the perfect system in action, demonstrating exactly how big a difference having the right data in the right places can make. One way to do this is to have an ‘ATS Only Day’ in the days or weeks after your dirty data purge. Have recruiters compete with each other to fill roles with only the candidates on your ATS. They’ll appreciate the difference that clean data makes, and will be far more likely to use your ATS as their primary candidate source going forward. You’ll also need to have a system to manage exceptions. In the real world a recruiter may not have every single detail of a candidate – a phone number or email for example – when they go to load them into the system. How you manage these exceptions will have a significant effect on the ongoing integrity of the ATS. Remember the old adage – crap in = crap out. Data integrity is a group effort. You’ll need total buy-in if your ATS is to remain as useful and effective as possible. If one recruiter begins to enter in duplicate or incomplete data, others will soon follow, and then the whole system can come crashing down (again). It could be that one of your firm’s best performers pushes back against the new ATS systems and procedures. At that point you’ll have to ask yourself a question: Is the integrity of the data more valuable than the business that this recruiter is pulling in? The answer, if you’re interested in long-term success, should always be yes. Data hoarding isn’t a chronic condition. 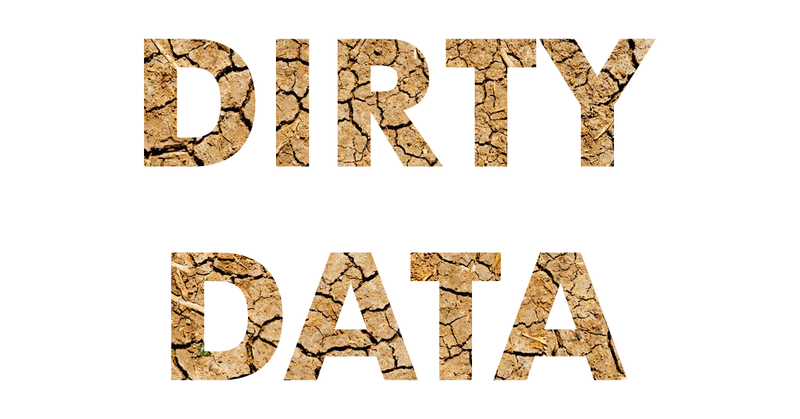 Your ATS wasn’t born full of dirty data. It was made that way through ignorance, negligence and laziness. You get out of your ATS what you put in. And if you start putting in perfectly polished records instead of old newspapers and take-out containers, you’ll not only enjoy better recruiting results, you’ll also be far less likely to have a reality TV crew knocking at your door. What Do Recruiters Actually Do for Jobseekers?